Joseph Conrad's The Secret Agent is a tale of anarchism, espionage, and terrorism. Our agent, a man named Mr Verloc, minds his own business while he keeps his shop in London's Soho, alongside his wife, who attends to her aged mother and disabled brother. Their lives are turned upside down when Verloc is reluctantly employed to plant a bomb and destroy an observatory in London. What was once the perfect bomb plot inevitably turns awry and Verloc, his family and his associates are forced to face the consequences. Conrad's later political novel bears all the hallmarks of his captivating style. The Secret Agent brims with melodious and poetic language, alongside crystal-clear psychological insights that could only be the work of a uniquely gifted storyteller. How could I get so much enjoyment out of a book filled with so much futility, wasted energy and pointless action? Perhaps because the futility is the futility of anarchists and terrorists. Because I see, especially in the character of the professor and his towering contempt for humanity, a template for the disastrous 20th Century that was a mere seven years old when this novel was published. No, that’s not it, either. Or at least not all of it. On the surface, this is the kind of book I usually don’t like. Or perhaps it just looked like the kind of book I wouldn’t like. In spite of the intriguing title, the name of the author promised an introspective, Marlow-esque journey through the subtle undercurrents of the psyche. An anatomical critique of European Imperialism. 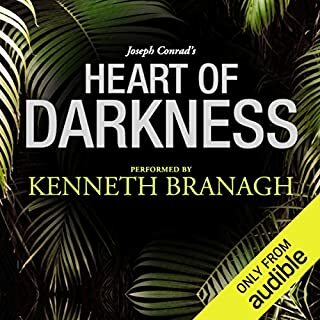 (If you’re guessing that I’m really only familiar with Heart of Darkness, you’re right.) Warned off of Conrad’s Nostromo by online reviewers who found it too complex, I only really bought Secret Agent because Audible put it up as a Daily Deal. And I am very glad I did. But like I said, I'm just not quite sure why. Instead of introspection, things actually happen here: an bomb explosion, an accidental murder, an intentional murder, even a suicide. Yes, Conrad pulls the same stunts with chronology that caused those reviewers so much pain with Nostromo. But he only does it once and I just took it in my stride (which makes me think I should have grabbed Nostromo when it was on sale, too). And there’s more: Conrad displays his usual powers here, as both a teller of tales and a spinner of sentences. He doesn’t just give you insights into our common humanity; he gives them in words you want to memorize. His evocation of a cold London street is, in and of itself, worth the price of admission. And those powers are in the service of a plot full of intrigue, double dealing, hidden motives, bad intentions that somehow never lead to anything and good intentions gone terribly wrong. And, for all its darkness and misdirection, I extracted a sort of wry, dry humor from the book, too. Which I can’t explain, so please don’t ask. 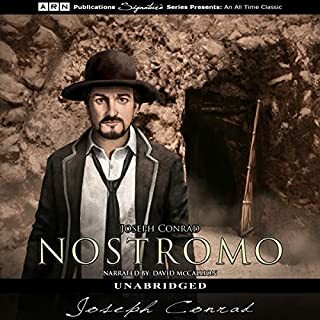 Finally, our narrator David Horovitch deserves the highest marks for elocution, characterization, pacing, in fact in everything that makes a superb reader superb. I almost quit after 2 hrs, but plugged on, finally getting interested in the last 2 hrs. the writing is so well-done, many phrases made me smile, but,...ughh. what a drag. maybe some abridging is called for. The plot is only so-so, but the writing and narration are superb. Prose does not get much closer to poetry than some of the passages in this book. The narrator should do many more. He would be great at any of Dickens' works. The uni-bomber, Ted Kaczynski is said to have read "The Secret Agent" as a coda for his decision to murder and maim innocents. Kaczynski’s craziness and the atrocity of 9/11 are most often referred to in modern reviews of The Secret Agent. "The Secret Agent" is about a middle-aged, over weight secret service agent named Adolph Verloc. Verloc lives in England and is a spy for an unnamed country. Verloc is called into his employer country’s Embassy to tell him that he is going to be fired unless he provides some actionable service for his pay. Verloc is upset with the news because he is dependent on the income received from the foreign country. Conrad offers some insight to a terrorist’s demented beliefs. The consequence of a terrorist event is the devastation of those left behind. However, the tale is too long; mystery, revelation, insight too meager, and characters too stereotypical. 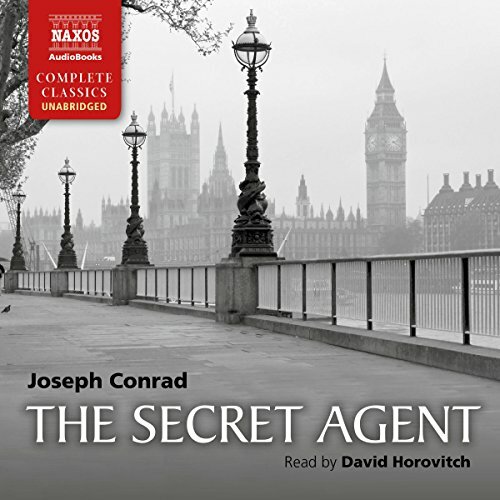 "The Secret Agent" is only marginally interesting because of Horovitch’s narration. 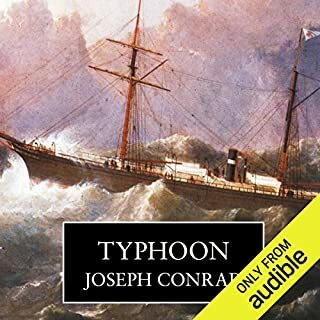 The narrator does a fine job and I thought initially this would be an interesting listen. It's just too hard to follow. Maybe I haven't paid close enough attention. Still, I felt lost as I went from chapter to chapter. Just not enough substance to hold my interest. The narrator's portrayal of the main character and some of the minor characters sounded like the muppet show. It was so distracting, I had trouble understanding what he was saying. While some of the story dragged on and on, the language and phrasing was descriptive. Going to trudge through, rather than returning...hopefully things will pick up. 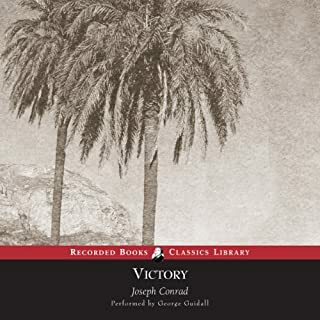 Would you try another book from Joseph Conrad and/or David Horovitch? No. I thought that the title would lead me to a more fast pace book. I got bogged down in all the commentary. Not at all what I expected. Perhaps it is the difference in times and cultures, but this book moves at a snail's pace, and the plot remains unclear after several hours. As an avid listener to espionage novels, and classic lit.,... this one is a dud. *It doesn't help that the narrator sounds like Yoda when performing the main character. Quit listening after 4 chapters because I had no character and story to follow. Too many descriptive words with no content in the story. Meant to read this for ages. 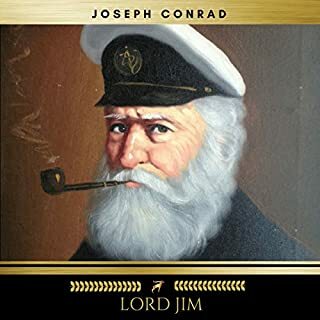 Conrad captures the semi- comic world of bungling spies and the absurdity and hypocrisy of anarchism in late 19th century London. . It is a tragic tale with a macabre edge. No character comes out well, not even the all-sacrificing Winnie Verloc. Well worth the time it took to listen to it. 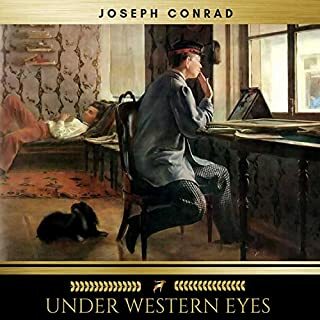 David Horovitch is an excellent narrator, Conrad one of our greatest writers.